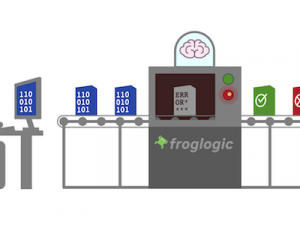 Hamburg, Germany – 2006-05-15 froglogic GmbH today announced the availability of Squish 3.0 beta. Squish/Web: Using Squish/Web it is possible to create and run test for HTML-based web applications in different web browsers such as Microsoft Internet Explorer, Mozilla/Firefox, Apple’s Safari and KDE’s Konqueror. Squish/Web maps the DOM tree of an (D)HTML document to Squish’s object model. This allows for inspecting the whole DOM tree of a document using Squish Spy, record and replay high-level actions on any HTML elements and call and access the DOM API from within test scripts. Squish/Tk: This new edition allows testing pure Tcl/Tk-based applications and also mixed Qt/Tk aplications using froglogic’s Tq technology. Similar to Squish/Qt and Squish/XView, the complete Tk widget set and its complete API is accessible from Squish Spy and test scripts and actions can be recorded and replayed on all Tk controls. During Squish 3.0’s development phase many customers and evaluators already started using the new version because of its major improvements and new editions. So Squish 3.0 is already used in production at many sites today. Squish customers and evaluators can now find Squish 3.0 beta packages in their download area. The final release is planned for the beginning of June 2006. For more information about Squish and its price and licensing, visit https://www.froglogic.com/squish. If you would like to evaluate or purchase Squish, please contact us at squish@froglogic.com.